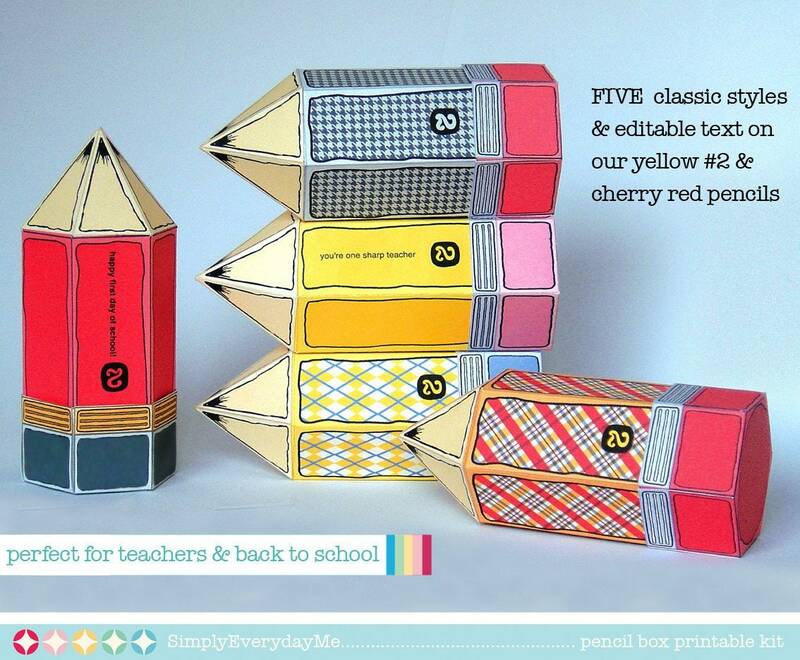 (¸.·´FIVE adorable Schoolhouse Pencil Favor Boxes. 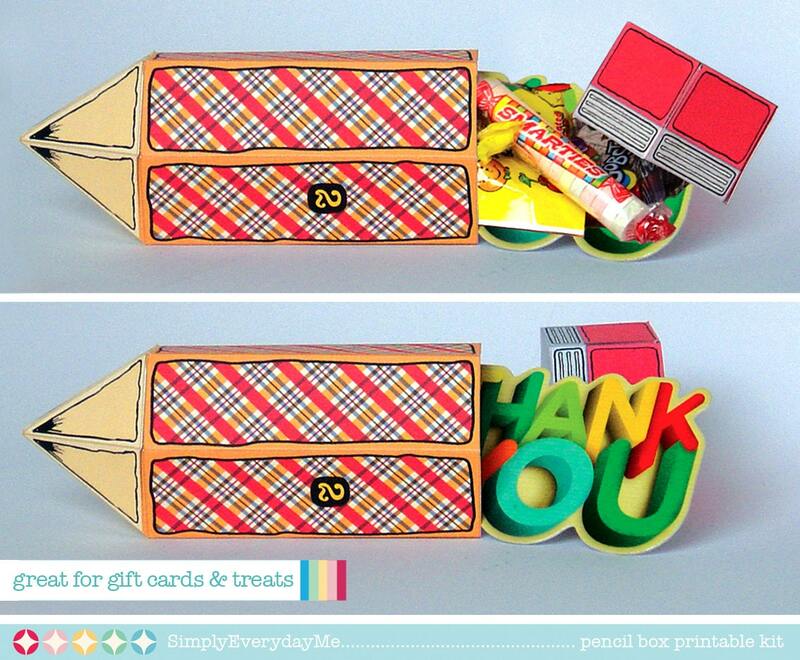 Included with this kit: Red Pencil Box (editable) ★ Yellow Pencil Box (editable) ★ Black & White Houndstooth Pencil Box ★ Yellow & Blue Argyle Pencil Box ★ Red Plaid Pencil Box ★ Full color step-by-step instruction to get you crafting right away. NOTE: For best results, use the free Adobe Reader, especially with editable PDFs. You may print as many as you need. 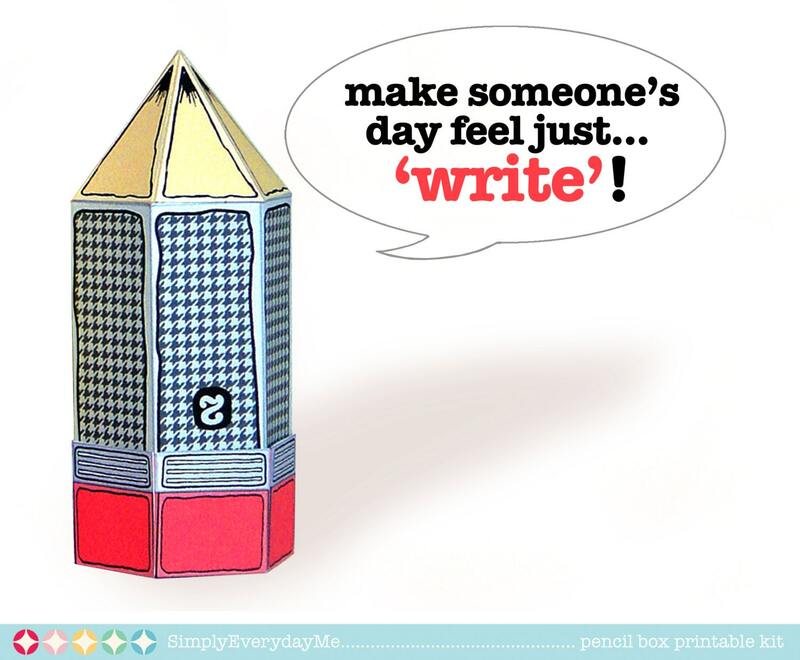 Each page fits within an 8.5”x11” letter or A4 paper, and 110lb cardstock is recommended. When assembled, box measures: 2.25"w x 5"h x 6.5". Our Schoolhouse Pencil Boxes... are perfect for gift giving to an... artist... student... architect... accountant... fashion designer... illustrator... carpenter... teacher... any doodler you know... and let’s not forget birthday party favors... back-to-school... teacher appreciation... and the last day of school... these Schoolhouse Pencil Boxes are perfect for all sorts of little yummy treats, and anyone who knows the joy of a brand new sharpened pencil will love them! Great Item! 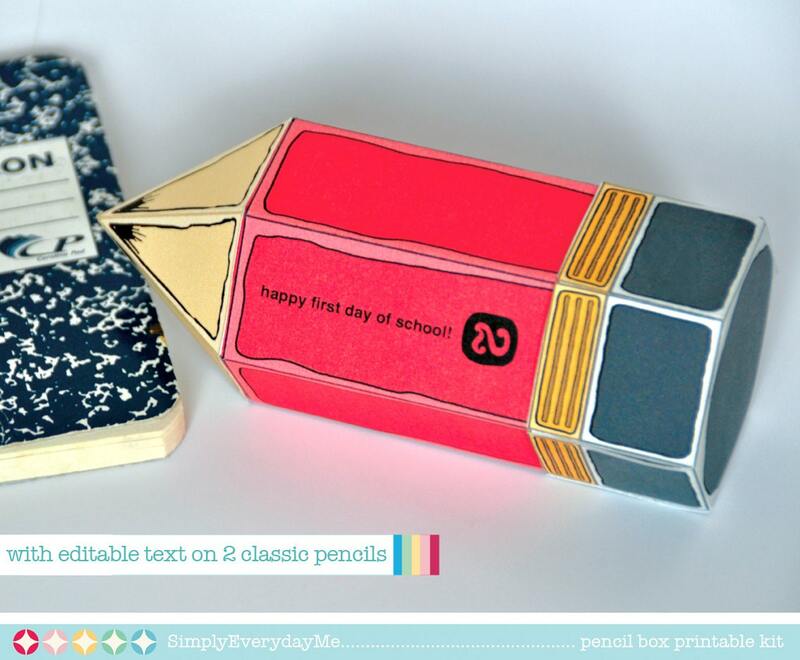 The end of the school year caught me by surprise (again) and these nifty boxes saved the day. Immediate delivery, fast and easy to put together- a big hit with the teachers and the kids. Thank you! I gave these to my new students at the beginning of the year and they loved them.